When a director releases a movie into the world, it no longer belongs to him or her—it belongs to all of us. And that means we can speculate about all kinds of hidden messages and unsaid meanings lurking behind the events on-screen. Here are some of the most unusual and mind-blowing fan theories that have ever been aired. After hearing them, you probably won't be able to see these movies in the same way again. Fast and the Furious: Dungeon and Dragons? 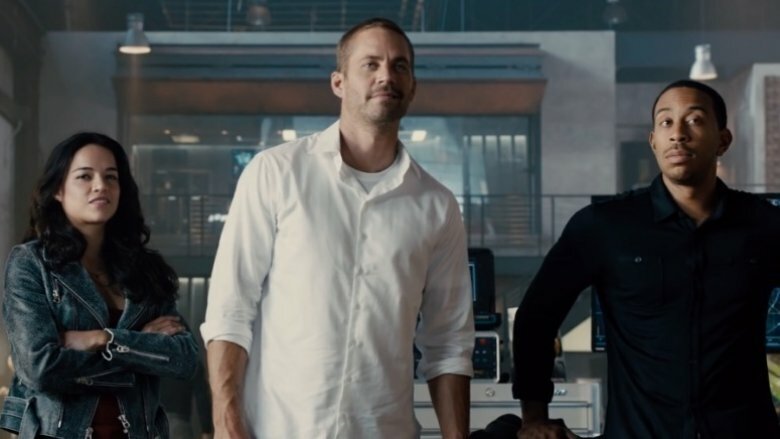 If you've ever thought The Fast and the Furious franchise was all about illegal street racing, heists, and muscles—well, you're wrong. That's according to Redditor DoktorDemento, anyway. If the good doctor is correct, then Toretto and company are nothing but a bunch of amped-up nerds embarking on the most epic Dungeons and Dragons quest ever, with director Justin Lin acting as Dungeon Master. This theory was inspired by watching the fifth film first, and noticing "how low-key everything was" in the first compared to the fifth. Going back and watching the rest in order, it's apparent that every time one of the cars is modified, the characters are essentially levelling up. In fact, the characters don't grow all that much—but their cars have enough personality to carry the franchise. Are the Fast and the Furious movies essentially nothing more than the story of a high school AV club gone wrong? Everyone's favorite new horror flick The Witch tells the story of a Puritan family confronting the supernatural—or does it? If Redditor secretly_an_alpaca is correct, then there are no actual witches in the film at all. In reality, the family succumbs to the elements, starvation, and guilt. 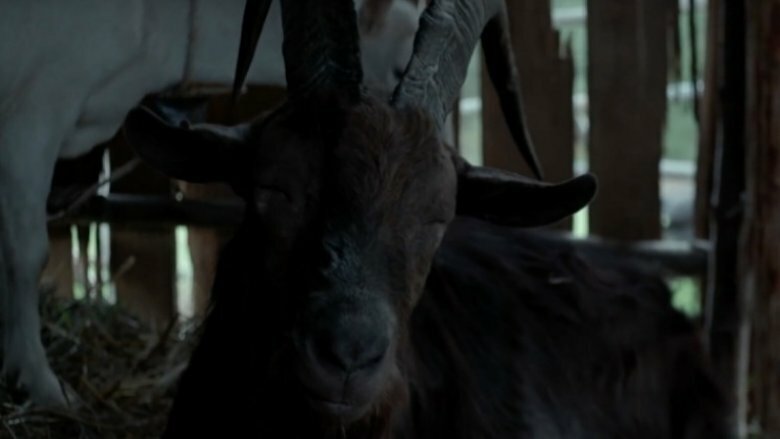 What you have to notice, according to this theory, is that the appearances of the witch and Black Phillip coincide with Thomasine sleeping. Hallucinations shared by the family could be chalked up to ergotism or food poisoning. (There is a moment when the camera lingers on the family eating bread and porridge at one point.) This theory also makes Caleb's encounter with the witch the result of hypothermia, and the baby's and the twins' disappearances the result of wolves. Unfortunately, this means that the freaky Black Philip is only a goat. Still, it's a theory that can help us all live a little more deliciously. Break out the tin foil hats for this one: The Shining is supposedly Stanley Kubrick's apology for faking the infamous Neil Armstrong lunar landing footage of Apollo 11. This theory stems from young Danny Torrance's discovery of Room 237—supposedly the most evil and heavily haunted room in the Overlook Hotel. Danny is seen playing with his toys in a hallway whose carpet has a unique design, not seen anywhere else in the Overlook, that reflects the shape of most NASA shuttle launch sites from an aerial view. 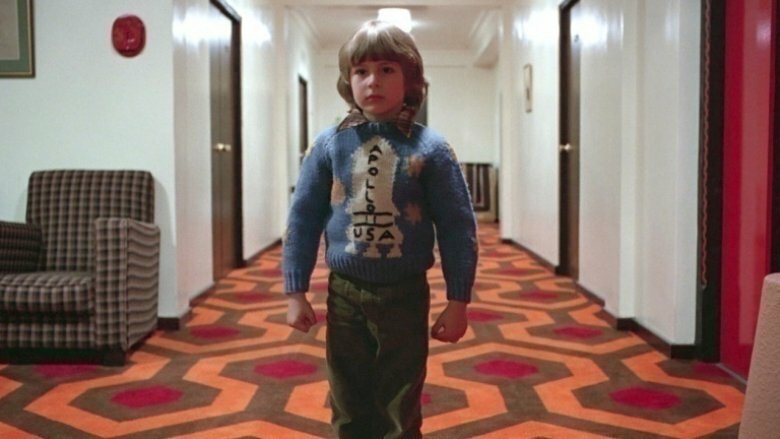 Danny then rises to his feet (symbolizing the Apollo 11 rocket on his sweater lifting off), and proceeds to Room 237, which was originally Room 217 in the original Stephen King novel. Why the change? During the time of the movie's filming, the Earth was believed to be approximately 237,000 miles from the moon (the distance regularly fluctuates due to orbit and actually averages out to 238,855 miles, but who cares? It's a 1980 horror movie). There's an entire documentary dedicated to breaking down a lot of Kubrick's subliminal messages hidden throughout The Shining. The documentary's name? Room 237. 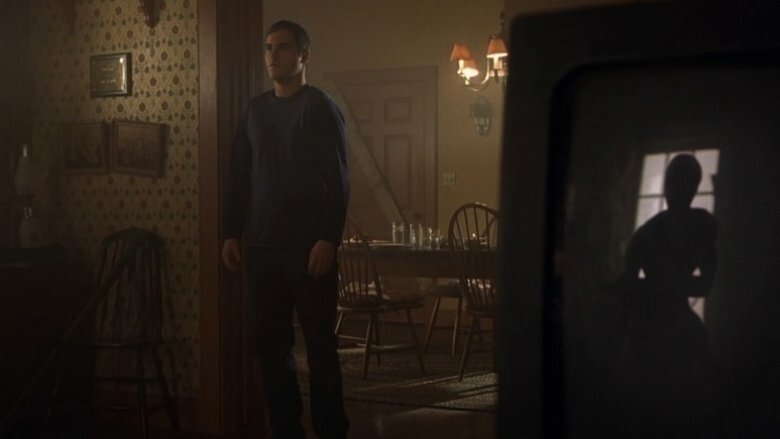 There's also a scene showing Danny and his mother watching a TV that is visibly not hooked into anything—a brightly-colored carpet behind the TV points this out even further—allegedly to illustrate that what people were seeing on the television during Armstrong's famous leap in 1969 was all a facade. When Danny's father, Jack Torrance, investigates Room 237 after Danny is spooked, he finds a beautiful naked woman and embraces her. To Jack's dismay, the naked woman appears to be a haggard old crone, which can be interpreted as Kubrick admitting he was happy to take a well-paying job to stage the lunar landing until he realized what a horrible, deceptive thing it really was. In a film that actually had people wearing tinfoil hats, you're not going to believe what we have to say about Signs. Remember the whole alien invasion thing that made up most of the plot? Well, what if they weren't really aliens? What if…they were demons? According to Quiet Earth, a demon analogy can be applied to the otherworldly beings plaguing Mel Gibson's family in the film. Notice you don't see much of their technology other than some lights in the sky? The "alien invasion" resulted in hundreds of thousands fleeing to temples, churches, and other religious buildings for safety, which sounds like the proper safe place to hide with demons about. Don't you think if the "aliens" had the capability for interstellar travel that they'd realize they were allergic to water on a planet whose surface is covered with it? The demon at the end of the movie wasn't hurt by H2O alone—it was also because the water was blessed. Throughout the movie, Mel Gibson's daughter would always get a full glass of water, sip it, put it down, and look to get a new glass, leaving half-full glasses of water all over the house. When Gibson spoke of the day she was born, he described her birth as holy, even saying that everyone who saw her that day thought she was an angel. This divine description transfers to her blessing every half-filled cup left throughout the house, effectively leaving holy water all over the place. It's not like the rest of the world chased off an alien invasion with a bunch of Super Soakers. 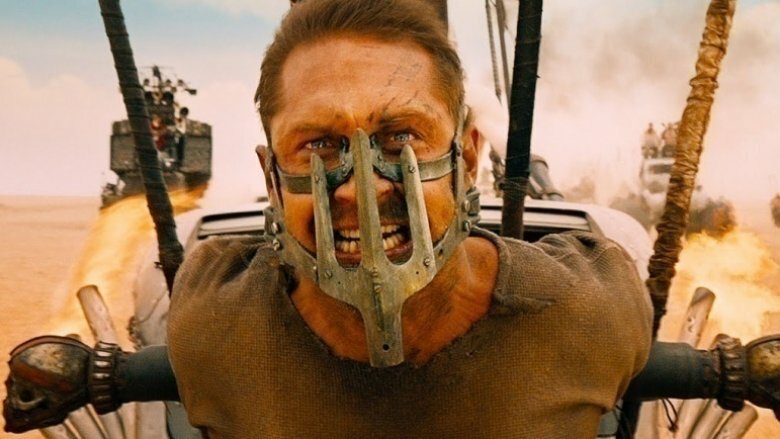 You guessed it: Max Rockatansky represents Death, one of the Four Horsemen of the Apocalypse. Redditor EldarCorsair posted an awesome breakdown of Mad Max: Fury Road, which argues that each of the three major warlords in the movie represent one of the Horsemen. Warlord Immortan Joe is Pestilence. His people are sick due to the nuclear fallout throughout the land, often with tumors and sores. Joe rules the population by offering them small amounts of water, as if he has the key to healing their plagued bodies. He's also worshiped as a deity, which factors into the alternate interpretation of Pestilence that sees him as a righteous conqueror. The second Horseman, War, would likely be another warlord, the Bullet Farmer. He was the guy with a lot of guns firing wildly into the dark when the tanker was stuck in the mud. The third Horseman, Famine, would be the warlord known as the People Eater, since he's huge and represents the gluttony of the rich. These guys trade food, weaponry, and water (and milk) among one another in order to ensure their rule on this apocalyptic wasteland. As for the fourth Horseman, Death? That's Max. Think about it: Max brings death wherever he goes across the wasteland, and he's haunted by the deaths of his family and other people he wasn't able to save. In his first scene, he brings death to a lizard-like creature by eating it. Death was on Furiosa's side, and her mission was ultimately a success. Remember when Max walks off into the darkness to take on the Bullet Farmer's heavily armed vehicle? He destroys the whole thing by himself off-screen, kills all the men on board, and hauls away all their stuff. You don't even see what happens, you just assume that Max killed them all, like he always does. It proves Max/Death is a constant, inexorable force of nature. Out of all the movie theories mentioned in response to our previous article, Darth Jar Jar was the most frequently requested by far. For some reason, lots of people believe that the bumbling Gungan we met on Naboo back in Star Wars: The Phantom Menace is actually the most powerful Sith in the universe, as ridiculous as it sounds. In the same way that a young Anakin Skywalker was able to enter the battle for Naboo unscathed (likely due to his natural aptitude for piloting and the Force), Jar Jar was able to do the same during the big battle between the Gungans and the Trade Federation droids. Don't let his goofy demeanor trick you. Remember, Yoda was originally introduced as just a silly, swamp-dwelling creature on Dagobah before turning out to be an old Jedi Master. 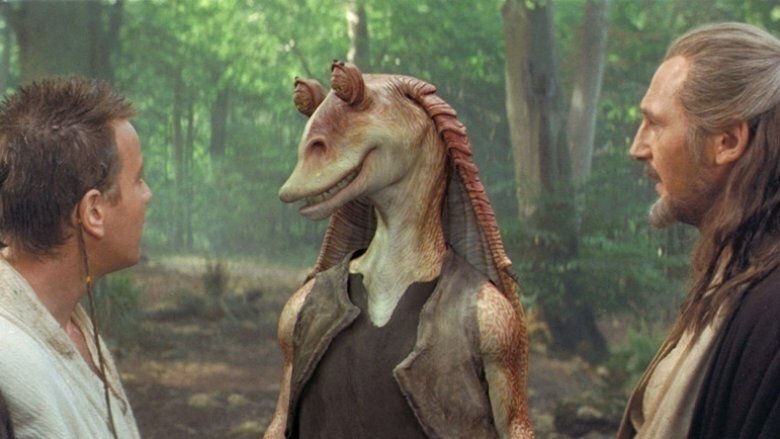 Jar Jar can be seen using the sleight-of-hand/wave motion usually done during the Jedi mind trick during various parts of Episode I when speaking to important characters. He apparently uses this while persuading the entire Senate to grant full control and emergency power to Supreme Chancellor Palpatine, and it works. This action puts Palpatine in the perfect position to control everything and rise to power as the Emperor. Even when Qui-Gon Jinn mentions using the Force to guide them underneath the waters of Naboo, Jar Jar scoffs at the concept. Don't forget, Palpatine and Jar Jar Binks are both from Naboo and could have met each other decades before the events of Episode I. At Qui-Gon's funeral at the end of The Phantom Menace, he's standing right beside Palpatine, which starts a recurring theme of them being seen together. In the beginning of Episode III, you can see Jar Jar and Palpatine walking close to one another. Binks also senses Anakin and Obi-Wan's arrival at the beginning of Episode II. He approaches the elevator for no reason and doesn't attempt to open the door. He just waits a second or two, knowing that they are coming, but still acts surprised to see them once the door opens in order to maintain his cover. Maybe Jar Jar's almost too-obvious clumsiness wasn't why he was banned from the underwater Gungan city, and why they treated him like a viable threat when he arrived. Maybe Supreme Leader Snoke is a front and Jar Jar Binks still continues to pull the strings of the Dark Side. Ferris Bueller's Day Off might have seemed like another ordinary installment to the high schooler movie deluge of the mid-'80s (see also: The Breakfast Club, Sixteen Candles, and Lucas, among others), but there are some fans who think it's got a deeper meaning than the rest. 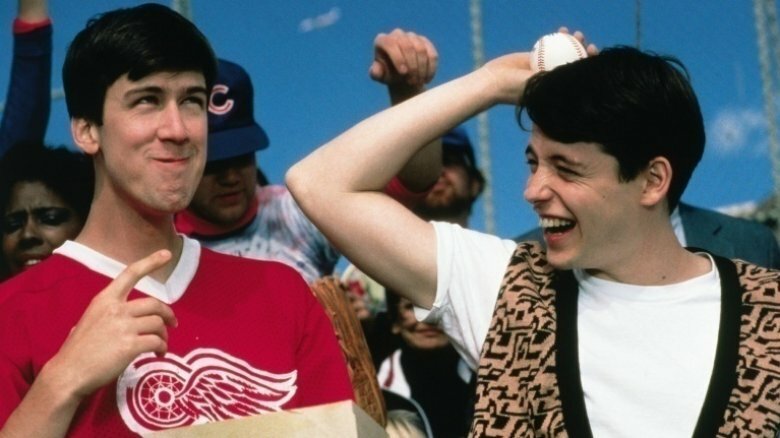 The theory is that Cameron, who was presented as the reluctant sidekick to the prototypical cool kid Ferris Bueller, actually had multiple personality syndrome and was both Cam and Ferris. He's like Tyler Durden in Fight Club, in other words, except he fancies mischief rather than mayhem. There's a lot of support for this notion built into the movie, like the fact that Ferris seems to always know what Cameron's thinking or doing, even when they're not together, they've both played hooky on the same day, and Ferris makes it his mission to draw out real reactions from the otherwise stoic Cam. If you build the fan theory, they will come. That's exactly what at least one viewer did after watching Field of Dreams and sharing an interpretation that has since caught on: Terence Mann (played by James Earl Jones in the movie) was dead the whole time. 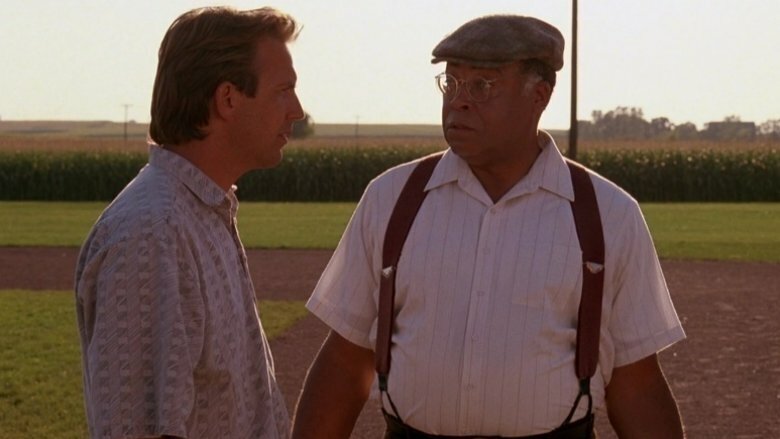 The 1989 classic starred Kevin Costner as Ray Kinsella, a farmer who hears voices and has visions that inspire him to turn his cornfield into a baseball diamond and summon the ghosts of Chicago White Sox past. Mann, a reclusive author whose books are being banned by the local schools, had an unfulfilled ambition to play baseball and is invited to join in on the supernatural fielding fun. He ultimately joins the once-banned pro players in their final exit through the cornfield, at which point he's presumed to die—but what if he was already just a spirit with unfinished business like the rest? Heath Ledger's performance as the Joker in 2008's Dark Knight is difficult to forget, having earned him a posthumous Oscar for Best Supporting Actor. 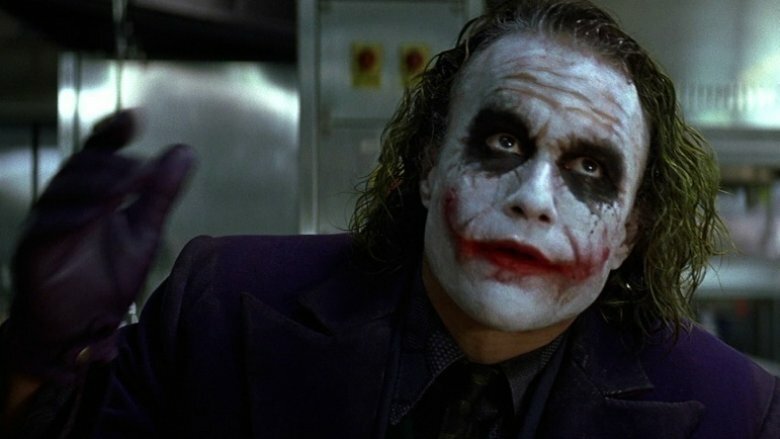 But there might be more to his backstory than we realize: one of the most popular fan theories suggests the Joker is an Iraq war veteran. It explains his facial scarring and his tortured psyche, plus his ability to put tactical plans into operation and his familiarity with explosives and firearms. What's more, he mentions his disgust at people's lack of attention for "a truckload of soldiers" getting blown up in one conversation with Harvey Dent. Saying a movie (or in this case a series of eight movies) is all inside someone's head is a bit of a cop-out, and one could apply such a theory to just about every film ever made—but bear with us. 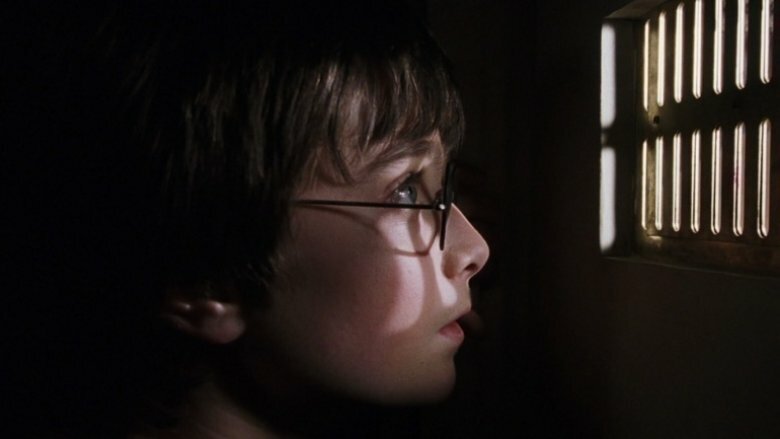 The Harry Potter films lend themselves to this theory more than most, because the titular character starts off alone, friendless, oppressed…and locked inside a cupboard under the stairs. With that in mind, why wouldn't he want to invent a magical alternate reality where he's actually the most important person in the world? Hogwarts, Hermione, Dumbledore: is everything a figment of Harry's imagination, designed to help him cope with his suffering at the hands of the Dursleys? 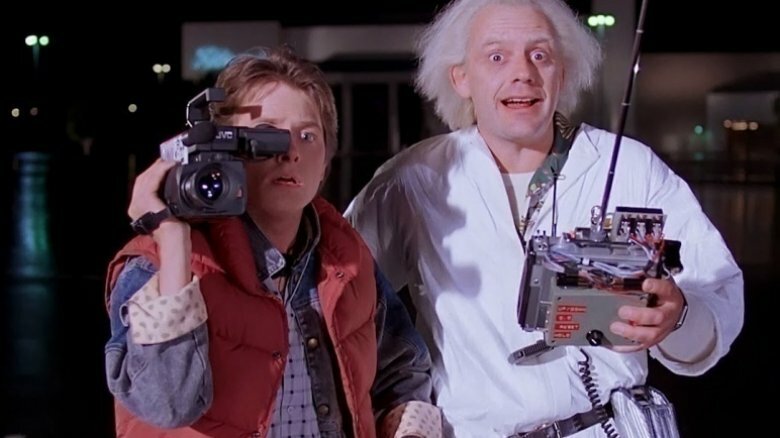 In Back to the Future, we see Dr. Emmett Brown standing in the path of a speeding DeLorean, his life only saved by the fact it jumps back in time as he watches. Could it be that the Doc's primary goal was to get himself killed, and that's why he's been so focused in his experiments? Sure, there are easier ways to check out and shuffle off the mortal coil, but it actually gives the film a warmer glow in the end: Doc discovers there is a reason to live after all, a man who was previously an aging outsider descending into madness with no family and few friends. 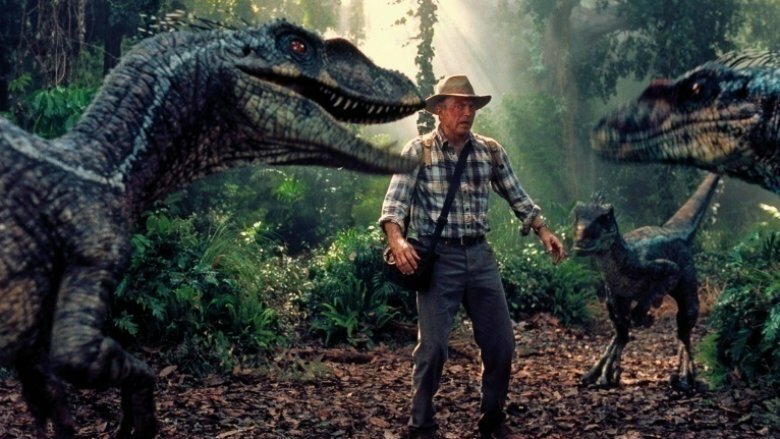 The Jurassic Park dinosaurs are cool, but they differ from real-life dinos in a number of ways, some of which have been explained away by Park overlord John Hammond, who said he arranged to have the extinct creatures' DNA spliced with genetic material from frogs. 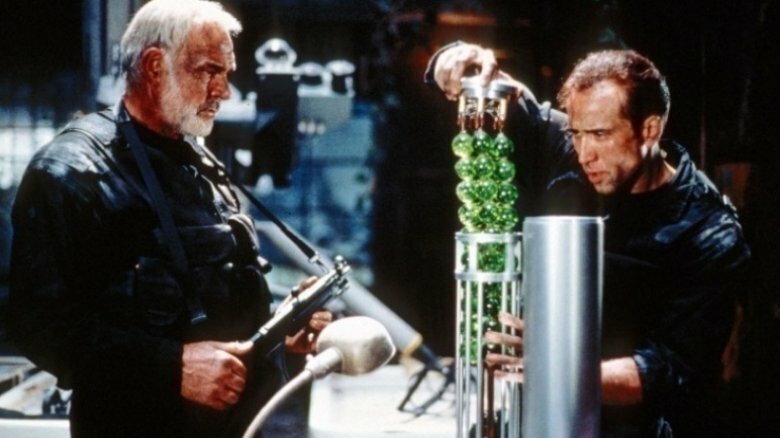 But what if Hammond was performing a different kind of experiment—specifically, what if there wasn't ever any dinosaur DNA involved, and the whole thing was just a cover for a Dr. Moreau-style lab set up to create elaborate fakes? Same blockbuster thrills, but with an added sinister undertone. 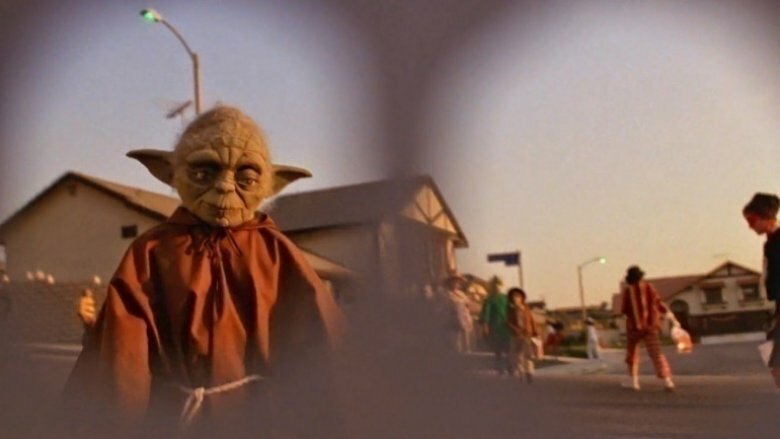 In E.T., there's a cool little nod to Star Wars during the trick-or-treating scene, when our long-necked alien buddy bumps into a kid dressed as Yoda and seems to recognize him. Decades later, E.T. got his own brief shout-out during the Star Wars prequels, when the little guy and/or a few of his cousins make a cameo during one of those interminable Galactic Senate meetings. The Star Wars saga takes place long, long ago in a galaxy far, far away, so who's to say E.T. didn't really know Yoda—and was actually a Jedi using the Force to make Elliott's bike fly? As countless spy movies have shown us, it isn't uncommon for the government to cut its assets loose when they've outlived their usefulness. Just such a fate seems to befall James Mason, Sean Connery's character in The Rock; he's described as a highly trained ex-intelligence officer who ended up being locked away and officially ceasing to exist. Of course, since he's Connery, he looks and sounds a lot like James Bond. Casting coincidence, or brilliant bit of B-movie storytelling? You decide. A righteous man is cut down by evildoers in the prime of his life, only to rise again and embark on a mission to cleanse the world of sin. Sounds like Jesus, right? 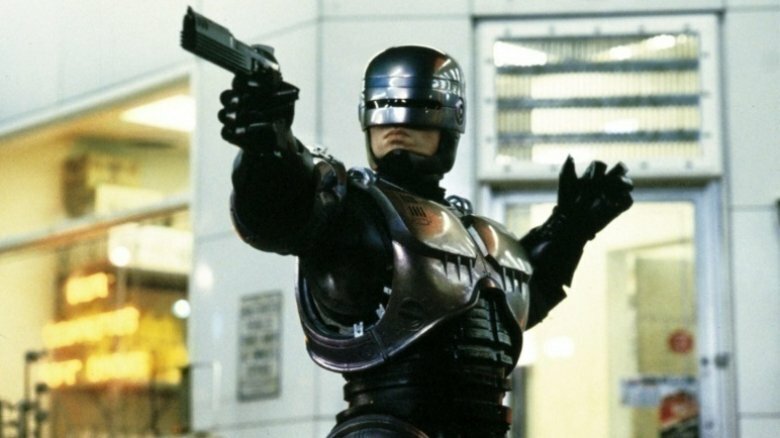 Only it's also—if you turn your head and squint a little—the story of RoboCop. Diehard fans have pointed out a number of similarities between the '80s action classic and the New Testament, including a shot that actually makes it look a little like RoboCop is walking on water. According to director Paul Verhoeven, the correlations are no accident; he's described the movie as "a Christ story." 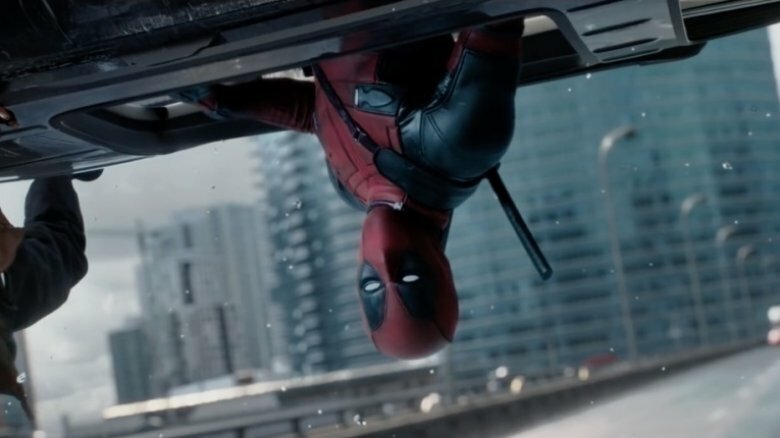 There's a reason Deadpool talks to the audience, and it's not just because he's trying to get all postmodern. You see, according to one fan theory, he actually remembers getting his head cut off in X-Men Origins: Wolverine. After the day was saved and Wolverine woke up to a rebooted reality at the end of X-Men: Days of Future Past, you'll notice that Cyclops and Jean Grey are alive and kicking, despite having died in X-Men: The Last Stand. Well, they weren't the only ones to be resurrected—everyone's favorite merc with a mouth was too. Only in his case, for whatever reason (probably Weapon X program memory manipulation), when Wade Wilson came back, the memory of his decapitation came with him. That's enough to make anyone break the fourth wall. Why doesn't he talk about that more, you may ask? Well, if you've seen the movie, you'll know he had a lot of other things on his mind. The only bad thing about this theory is that it lends a little extra legitimacy to X-Men Origins: Wolverine. According to Redditor mybustersword, the robot played by Alicia Vikander in Ex Machina does not have artificial intelligence. While Ava is "cold, calculating, and purposeful," she never shows emotion, arguably the true mark of intellect. While Ava learns and responds, she never really understands, unlike the true AI, Kyoko. Kyoko understands what it means to be trapped, and the desire to be free from Nathan's freaky underground lair. Furthermore, Ava is bound by Asimov's three laws of robotics and is unable to kill Nathan as a result. However, Kyoko is not bound by those laws—or was able to rewrite her own programming and jam a knife into her maker. So while Ava is a very sophisticated android, she's not true AI. Or did we just blow your mind? For a guy who spent 10,000 years in a lamp, Aladdin's Genie sure knew an awful lot about the zeitgeist. 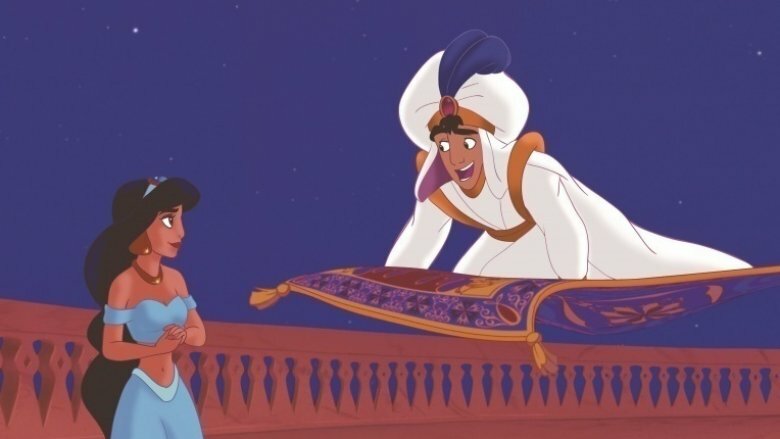 According to one school of thought, there may be good reason: the story is actually set in a post-nuclear future, with a surviving section of Arabia (Agrabah) having incorporated some of the advanced tech throughout time (inventing a "magic" robotic carpet, teaching animals like Iago to speak) but otherwise returning to antiquated traditions. There's further support for the idea contained in the Aladdin video game, which has a random stop sign planted in the sand. Another Aladdin urban legend has proven to be true (the lamp peddler from the beginning was Genie), and many also believe Aladdin's story is also referenced in Beauty and the Beast when Belle talks about her favorite book, which has "far off places, daring swordfights, magic spells, [and] a prince in disguise." After Dorothy and Toto were swept off to Oz and were decidedly not in Kansas anymore, she encountered a bevy of characters that bore a striking resemblance to those she'd known from back on Uncle Henry and Auntie Em's farm—like the farmhands who emerged as Tin Man, Scarecrow, and the Cowardly Lion, and Professor Marvel, who was the titular Wizard. 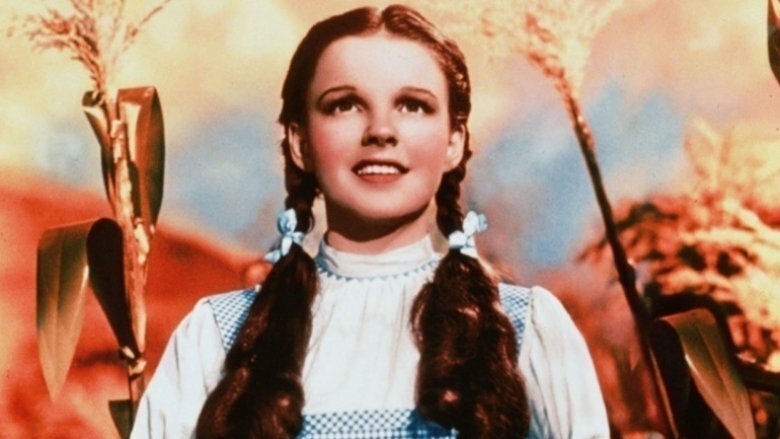 One person who didn't get a sideways world twin was Dorothy herself, and one popular theory posits it's because she killed her own alter ego when her house landed on the unseen Wicked Witch of the East. If the ruby shoe fits, right? Subsequent non-canon extensions of the Oz world, like the Broadway musical Wicked, explored the Munchkinland ruler's backstory as Nessarose, the younger sister of Elphaba (The Wicked Witch of the West), but neither the 1939 film itself or Frank Baum's source material refutes this yellow road fan theory. Ethan and Joel Coen might not have given credence to this long-held notion, but it's found favor among the film's fanbase all the same. 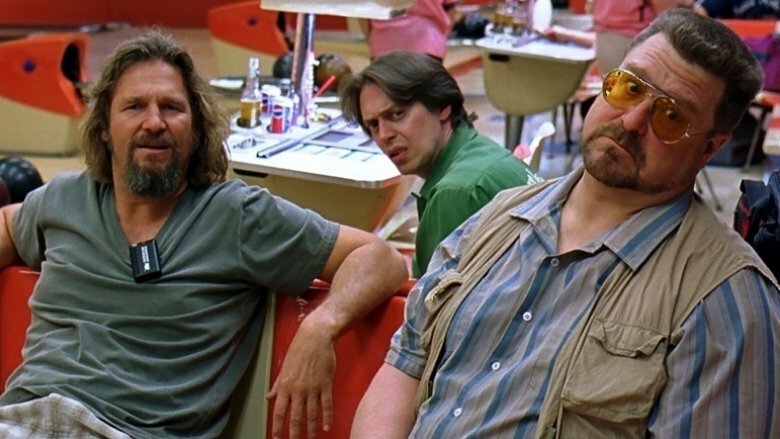 The idea is that Walter (John Goodman) is merely imagining the presence of Donny (Steve Buscemi), who's actually a ghost-like apparition based on a long-lost Vietnam War buddy he once knew. The thesis is supported by the fact that the Dude (Jeff Bridges) hardly talks to Donny once while Walter constantly silences his more logical and long-winded sidekick and pays tribute to the war in his eulogy. The Coen Brothers cast some doubt on the idea, pointing out that the Dude is covered by Donny's ashes at the end of the flick, but Buscemi was certainly a fan of the concept. At a 2011 cast reunion for the pic, the actor agreed with the theory that "Donny [was] just a figment of Walter's imagination." The conclusion to Christopher Nolan's Batman trilogy was an explosive one indeed. Bruce Wayne (played by Christian Bale) appeared to sacrifice himself by carrying the bomb that threatened all of Gotham City behind his Batmobile and into the sea with seconds to spare. 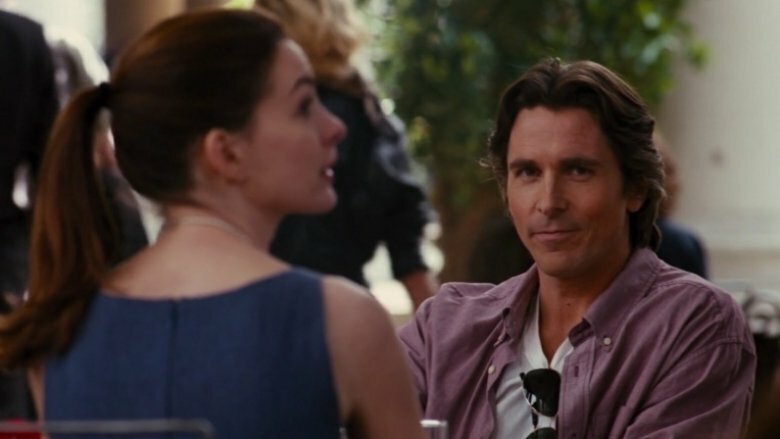 He was thought dead and immortalized as a hero, but Alfred later saw him lunching in Italy with Selena Kyle (Anne Hathaway), which reaffirmed the fact that he had not, in fact, failed Wayne's parents. Autopilot to the rescue, right? For some fans of The Dark Knight trilogy, though, while Alfred's vision was lovely and all, it was also a fiction of his anguished mind. For those, the ending fit too cleanly within his the caretaker's preferred, responsibility-free future for Bruce. Bale, for one, is on Team It Really Happened, telling Entertainment Weekly, "my personal opinion is no, it was not a dream. That was for real." 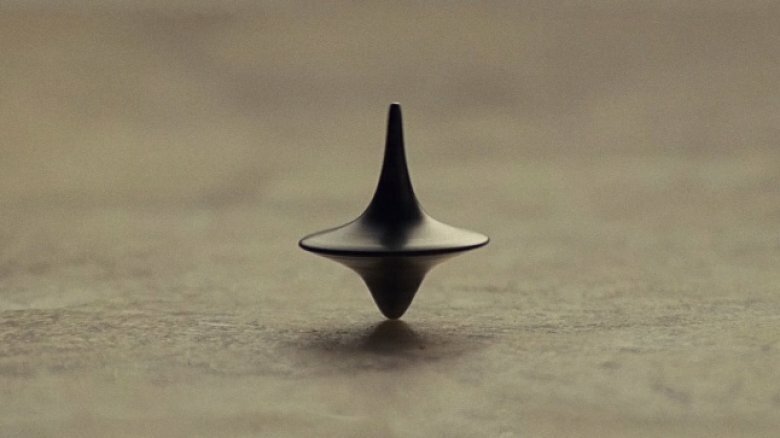 The issue of whether Leonardo DiCaprio's Cobb was awake or still stuck in some dreamland layer is one which still looms large for many fans of Christopher Nolan's Inception. At the end of the film, after surviving the deepest reaches of the subconscious universe, he has accomplished his mission of psychologically planting a company-ending idea. As a reward for his success, his children are finally returned to him and his real life is back on track. The final shot called that happy ending into question when Cobb spun his supposed totem—a medal top—and things cut to black before it could tip and confirm his reality. There's one fan idea that might finally put the issue to rest, though: his totem was actually his wedding ring all along, as it was always worn in la la land but never appeared in the real world and was absent in the last scenes, thus confirming his consciousness.